BendPak 2-post lifts are well-engineered and perform better than other 2-post lift on the market. Engineers have literally thought of everything to make these be the most advanced, user-friendly car hoists on the market.  And when you purchase from ASEDeals, you know you're getting your hoist at the lowest possible prices, because we are one of the largest BendPak dealers in the business. We have been one of the bissest BendPak two post lift distributors for over 20 years. We'' get you the answers you need to choose the best model for your application. This BendPak Turf Lift Accessory Kit turns a two-post lift into a turf lift. Price shown is when purchased with lift. If purchasing separately call for pricing. Modern Construction – BendPak two post car lift carriages are all equipped with 8 slider blocks made of ultra-high molecular weight (UHMW) polyethylene. Utilizing eight slider blocks rather than four means that they have doubled the total surface area. Dual Hydraulic Cylinders - BendPak 2 post auto lifts use full stroke, commercial-grade hydraulic cylinders that provide improved safety and reliability. Each cylinder utilizes a 1-1/2” diameter hardened chrome molly shaft and conforms to ANSI 92.2 standards. BendPak 2-post engineers purposely have designed the cylinders to push rather than pull, which keeps hydraulic oil below the piston and eliminates fluid containment of shaft seal. Fail-Safe Arm Restraints - Each car hoist is equipped with durable arm restraints that automatically engage each time a BendPak lift is raised. When the lift is lowered, restraints are released providing easy positioning and use. Truck & Van Extensions - With BendPak two post lifts, customers enjoy extensions and adapters for no extra charge. In fact, all models with more than 12,000 LB capacity include free frame cradle pad adapters that help grab vehcial frame and keep it from slipping off the car hoist. Unparalleled Safety – Well-placed safety locks are included on each BendPak two post car lift. Because of their ideal spacing of 2.5”, any catastrophic hydraulic failure event is made safer because vehicle won’t fall far and any potential for a sudden drop is minimized. Plus, BendPak 2 post lifts are made in ISO-9001 compliant factories, ensuring the utmost quality standards. And, finally, most Bend Pak two post lift models are ALI-Certified.